Do you guys want to hear a sob story? My parents never, not once, fed me meatloaf as a child. How dare they! What kind of parents were they, anyway?! I mean, sure, most kids hate meatloaf and yes, I absolutely would have whined about it had my parents dared to serve me a hunk of loaf shaped meat full of who knows what. But, still. It’s the principle of the matter. Parents are supposed to force their children to eat meatloaf. Anyway, one day when I was married I decided to make my very first meatloaf. I had never tasted meatloaf before and I didn’t know what the heck I was doing, but I saw a recipe online that was full of steak sauce and I happen to love steak sauce, so I made it. It was divine. This is not that recipe though. This is better. This meatloaf is the only one that my family will eat. It tastes like a great big bacon cheeseburger and oh, you guys. It is absolutely divine. It is loaded with bacon, mayo, and cheese, so yeah. There is no chance of this not being amazing. Instead of bread crumbs, I use Stove Top Stuffing. I know, I’m weird. But, you guys, dry stuffing is just so perfect in meatloaf. If that’s not something you have on hand, feel free to sub in bread crumbs. I prefer panko, but use whatcha got. 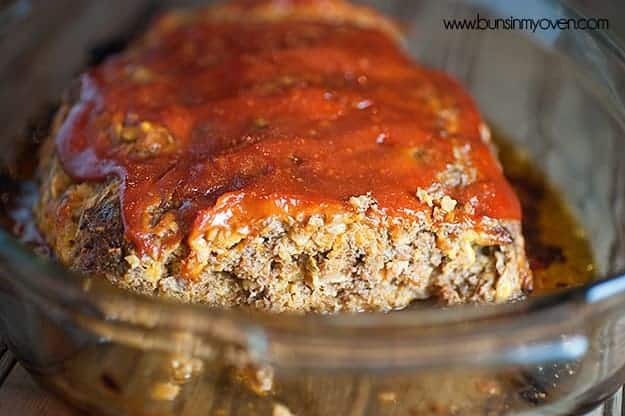 I’ve wanted to share this recipe with you for years now, but meatloaf is just plain ugly. Today I finally accepted that there is nothing I can do to make meatloaf look appetizing, so here it is, in all it’s loaf-y glory. Embrace the loaf, you guys. 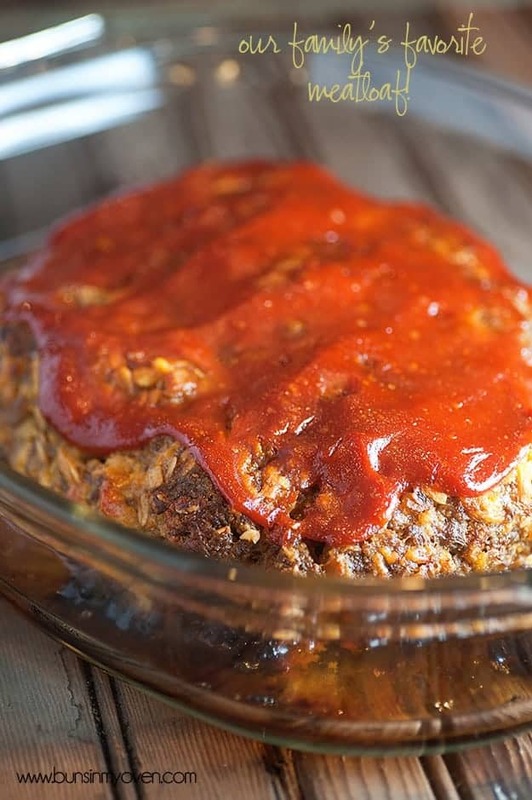 Spread the bacon cheeseburger meatloaf love. 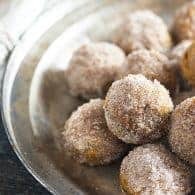 To make this even faster for busy weeknights, I like to portion this out into 12 balls and bake it in a muffin tin! It’ll bake in about 15-20 minutes but check the temp with a thermometer to be sure. 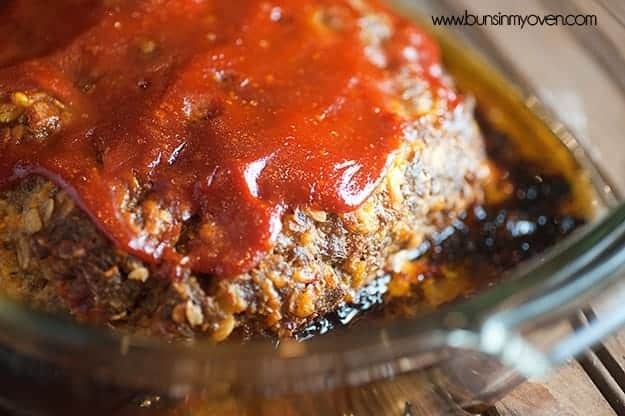 This meatloaf goes great with my green bean casserole and mashed cauliflower or some crockpot mashed potatoes. Meatloaf is pure comfort food and it doesn't get better than this bacon cheeseburger version. Chop the bacon into bite sized pieces and place in a hot skillet over medium heat. Fry until just about crisp. Drain and add bacon to a large bowl. Add the beef, cheese, oats, stuffing mix or panko, mayonnaise, egg, and salt to the bowl with the bacon. In a small bowl combine the ketchup and mustard. Add half of the mixture to the meatloaf mixture. Add the tablespoon of brown sugar to the remaining ketchup and mustard and set aside. Use your hands to combine the meatloaf mixture until well mixed. Dump into a large baking dish and shape into a loaf about 8 inches long and 4 inches thick. Spread the ketchup and mustard mixture over the meatloaf. Bake for 45 minutes or until a thermometer inserted in the center reads 160 degrees. This looks awesome Karly, my family would devour it immediately, guaranteed. I was just recently introduced to the StoveTop stuffing-used-in-a-meatloaf idea. I was sceptical but wow. Very good. I’m going to try this version too. Thanks. You were definitely deprived as a child! Meatloaf night was always my favorite! 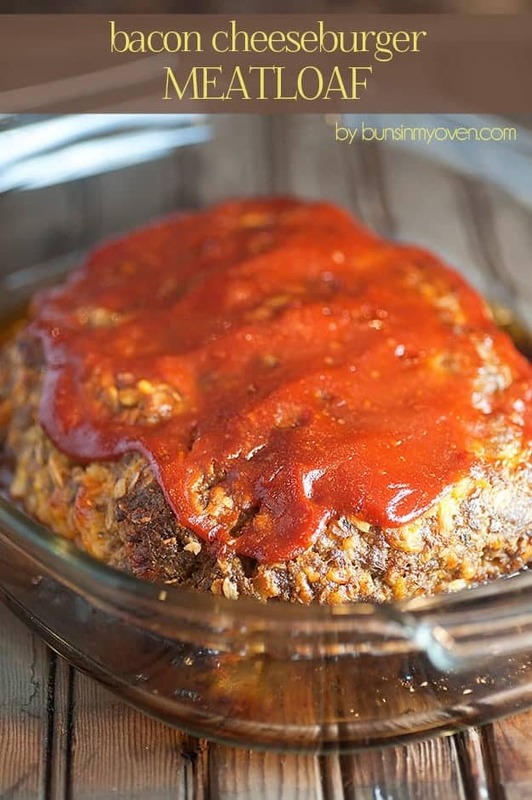 I can’t wait to try this recipe – my kids looooove meatloaf so I know they’ll be excited about it! I guess they’re pretty cool, but yeah. I demand a re-do on the meatloaf thing! 😉 Also, no. I had my first meatball after I was already married. Weird, right? My boys love meatloaf!! I’ve been making it for infinity because I’m old school. Simple tastes in there parts. 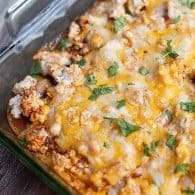 They would LOVE this recipe, I’m so excited to try it!! My mum never made us meatloaf either because she hated it. She made ham loaf instead. I’ve never once made ham loaf since I’ve been married, I hated it as a child & now I rather miss it as an adult. I have perfected my meatloaf recipe & my family loves it. 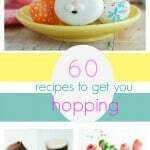 I can’t wait to give this recipe a try though!! Sounds yummy! Haha oh my gosh! Dying over this! What were your parents thinking?! 😉 My mom made us meatloaf all the time growing up. Some of us hated it and some of us loved it. It was my favorite! 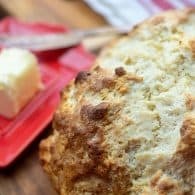 I can’t wait to try this take on it – sounds super flavorful and I know my husband would love it! Well, my mom doesn’t actually like meatloaf, so I guess that explains it! Hope you give this a try and love it as much as we do! So smart and totally delicious sounding!! AND you’ve managed to make it look awesome as well! Thank you for the nice recipe. Have a great week. Woah! This meatloaf – oh, it’s happening! Pinned! This looks so good! I recently had a conversation with my parents about why they never served meatloaf for dinner. Maybe that’s why I like it so much now. 😉 Can’t wait to try this one! Funny! My mom always made meatloaf and I never liked it and thought she was ruining perfectly good meat. The only part that I liked was the cooked on ketchup on top. 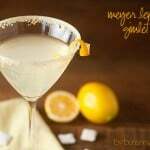 Have never made it myself and my kids groan when I mention it! This one sounds good though .. it’s got bacon and cheese .. How could that be bad?? I KNEW we were twins ripped apart at birth!! My mom tried to feed us meatloaf ALL THE TIME. It was tragic. I revolted and threw fits constantly…pretty sure I was a vegetarian even then. We love meatloaf in our house. Of course I didn’t like it when I was a kid, but I’ve fed it to my toddler on a number of occasions because it’s my husbands favorite meal and surprise he LOVES it. And I’m pretty sure I’m going to have to make this one now because we are all sure to love it. If you’d had to eat MY mothers meatloaf, you’d have been thrilled to miss it lol. Cooking wasn’t her strong point 😛 THIS meatloaf however, looks heavenly. 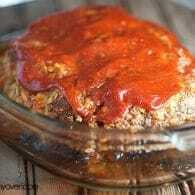 We could happily eat meatloaf once a week or more so I will most definitely be trying your version! This looks soooo yummy! Thank you for this one! My mum never made meatloaf for me either! And I dont’ think I’ve ever had it, but I see a lot of recipes online and I would love to try it one day. And meatloaf makes THE BEST sandwiches–hot or cold!! What kind of stove top stuffing would you use? yummy this meatloaf was soooooooo good!!!! A: use BBQ sauce instead of ketchup for the top. Brand doesn’t seem to matter, to me the generic tastes just as good as the high$$ stuff. B: Use crushed potato chips instead of (bread/stuffing/crumbs/whatever). Try varying the taste using different chip “flavors”. Other than that, this recipe sounds heavenly! Sounds like some tasty chhanges! Something about the oven and the tomato getting reduced down to a hard consistency really is delicious. Hmm, I’ve never tried that topping! Sounds delicious! We live in Africa and cannot get Stove Top Stuffing nor bread crumbs. Would it work to put in more oatmeal? More oatmeal would probably work fine. You could also make your own bread crumbs by grinding up some day old bread. Of course we do NOT want to consume hamburger grease! Geez- get a real meatloaf pan with an insert that drains it or put slices of bread in the bottom of the pan/dish to absorb it. We happen to like it this way, but you’re welcome to use a meatloaf pan or put bread under the loaf. No onion? It sounds good otherwise, but we (Especially my husband) would miss onion in it. Any substitutions recommendations for the mustard inside the meatloaf? My husband is a mustard-hater (silly, I know). I don’t have much experience with meatloaf, so I am unsure of whether I can just leave it out or if I will need to increase the liquid elsewhere. Also, I made this once, as is, and it was fantastic! My kids thought it was the greatest, so thanks for a fantastic recipe! Looks delicious . Has been so long since I have made a meatloaf. You inspired me to make one soon. I also leave my meatloaf set for a spell which makes it much easier to cut that way. If you cut into it too soon, it falls apart so by leaving it rest for a spell, you get nice clean cut slices. I have put mine in square pan before and cut into squares or can make individual ones and put in muffin pans or a brownie pan of which I have done. I’m making this now. The only thing I did different is I did half ground beef and half lean ground chicken. I can’t wait for dinner tonight. The funny thing is my husband can’t wait either. He’s called home from work once this morning to confirm that we are still having meatloaf for dinner and then again at noon to see if I’ve started putting it together yet!!! Can you tell meatloaf is one of his favorites? Thank you for the recipe like. I’m sure it’s going to be the official “go to” recipe. ? I always use stove top because I never seem to have bread crumbs. I cover the stuffing with milk and put in fridge for an hour. It makes the meatloaf very moist. I wouldn’t eat my mom’s meatloaf as a kid (still won’t now that I’m adult). But I used to love going to my Nana’s house when she made it. I wouldn’t eat Anybody’s meatloaf for about 5 years after she passed away. I make it often now but what I wouldn’t give to have my Nana’s instead! Thank you for this recipe. My family LOVED it! My moms meatloaf was always overcooked and dry. She was always afraid we would get sick from undercooked meat so she practically burnt everything. Now she lives with me and loves this with a baked potato with butter and sour cream. 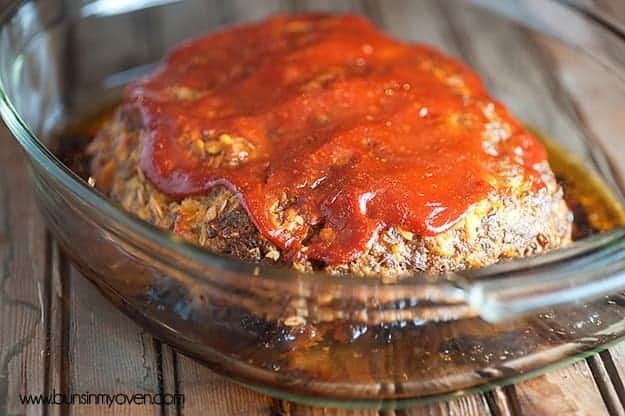 This is now my favorite meatloaf recipe! Well done Karly! Did you make this and not invite me over?? 😉 Glad you liked it!